This is a very unique part of Miami you should visit. 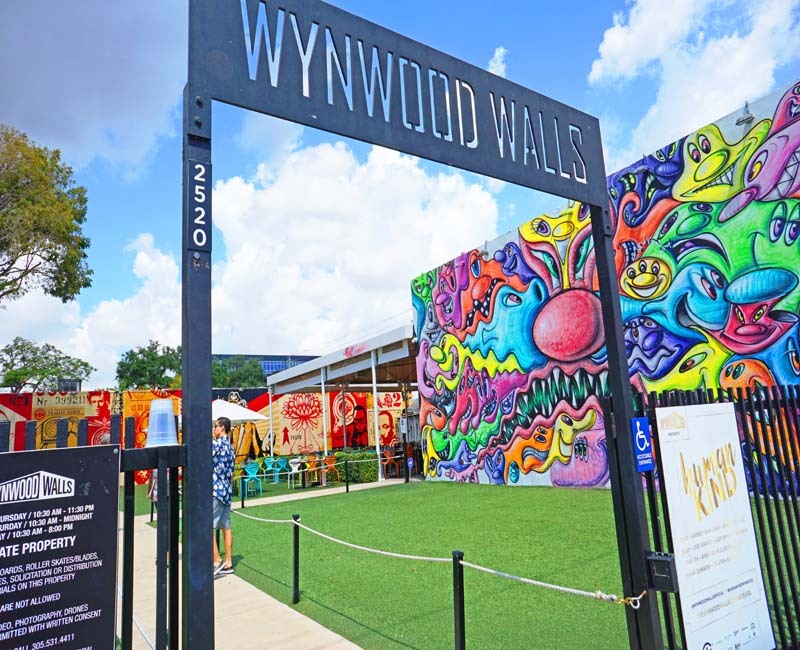 Wynwood Walls is located a few minutes away from downtown. 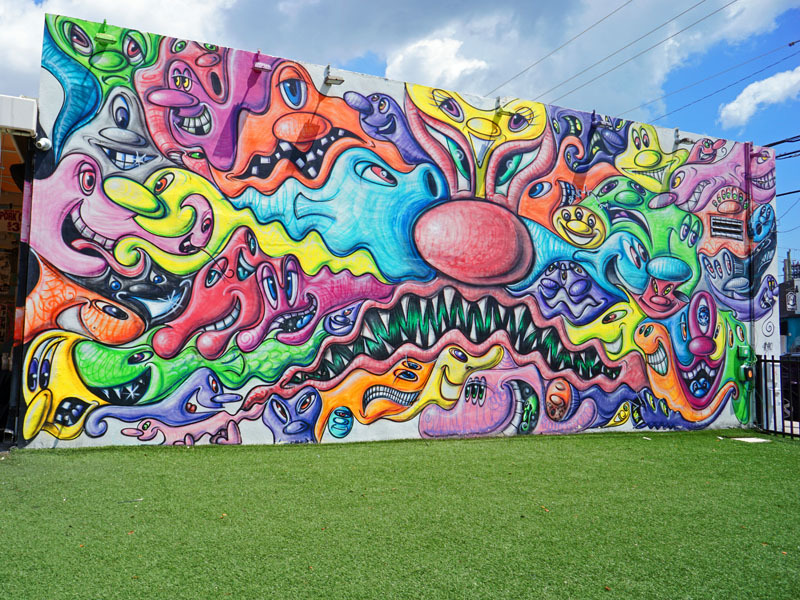 Wynwood Walls has been described as an walkable, outdoor museum. It is a fun filled environment with some of the best collections of hand painted art/murals. The entire neighborhood hosts a truly amazing set of public art work. The murals are vivid, striking, and passionate and create great opportunity for taking photos. Sometimes you will even see one under development when the artist is currently working on a wall. For the record there are over 70 different paintings and murals made by over 50 artists all over the world (over 16 countries). 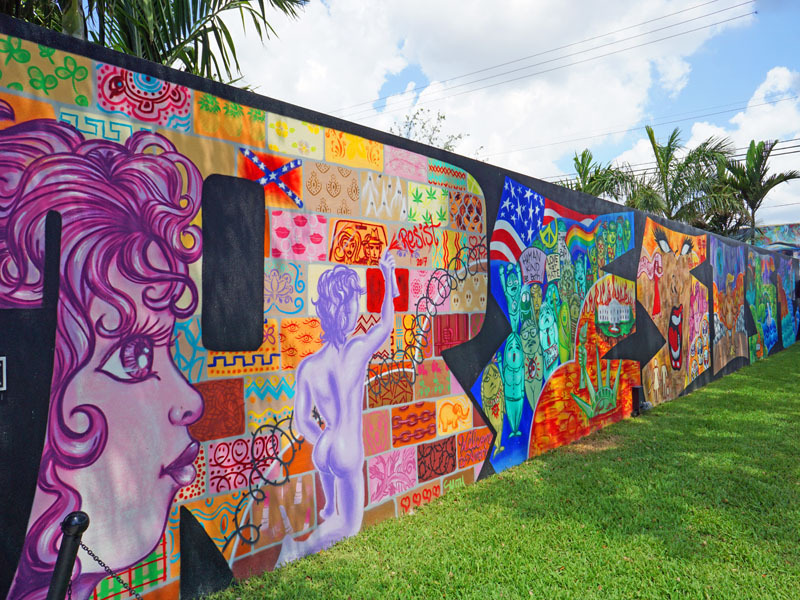 Aside from all the many artistic walls around this area, there is actually a good amount of history and stories behind the Wynwood walls. You can actually take a walking tour of this place if you are interested. You can also read some tidbit information about some of the artists. When we enter at the gate in Wynwood, I was not expecting to see so much art everywhere. Amazing work done by talented artists. To get the best of it, I recommend you walk and be prepared to spend a lot of time here so make sure to wear comfy shoes. There is enough space to get around even on a crowded weekend. You will also find lots of food truck vendors, bars, and restaurants here. Pretty pricey but at least the entrance to Wynwood is FREE. 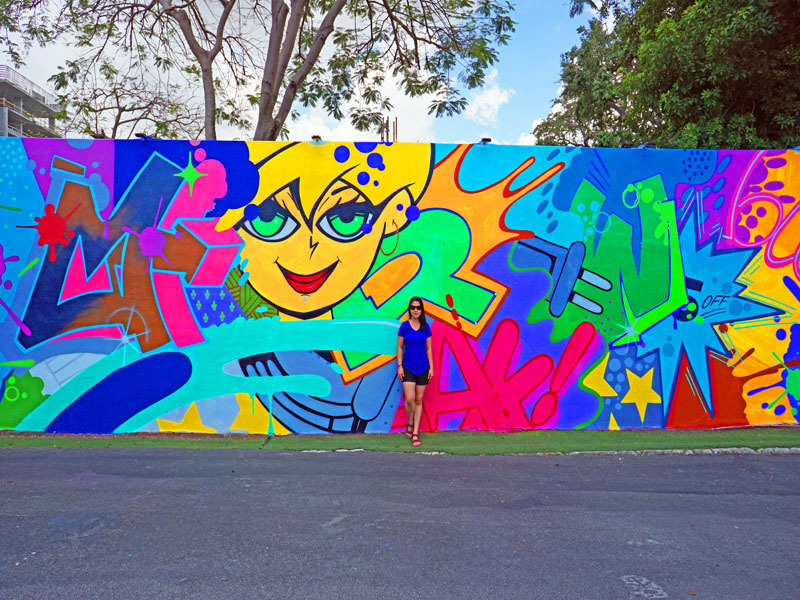 Best area in Miami to enjoy a walk while discovering great street arts. Feel the mood and don’t be ashamed to pose like a model on the walls of Wyndwood. 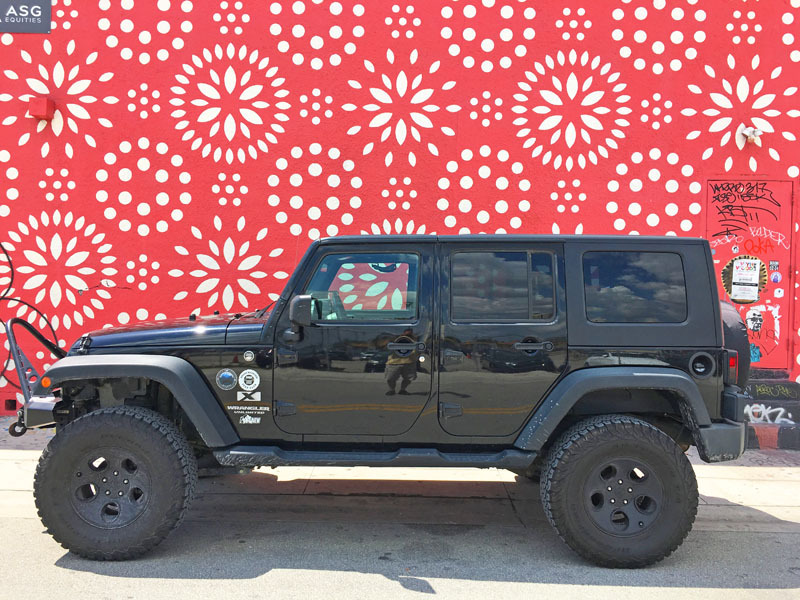 Our Jeep at Wynwood Walls in Miami. 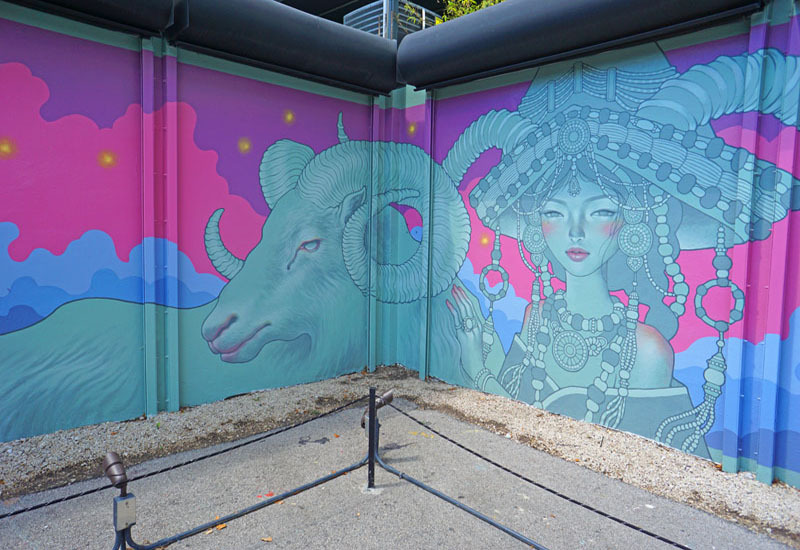 It is a street mural and style artwork on buildings with a courtyard and patio. Parking is hard to find but we we're able to stop quickly and snap this photo in front of the mural. Hope you enjoy this arts and murals as much as we do. 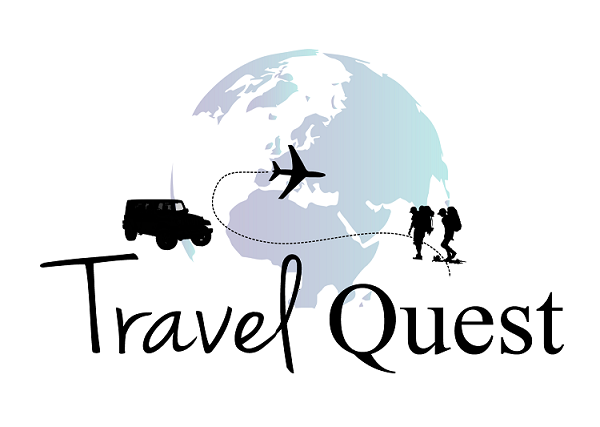 Feel free to share this post and follow us for more adventures! What a fun and colorful place to visit. Would be neat to walk around looking at all the different walls and seeing the different art. 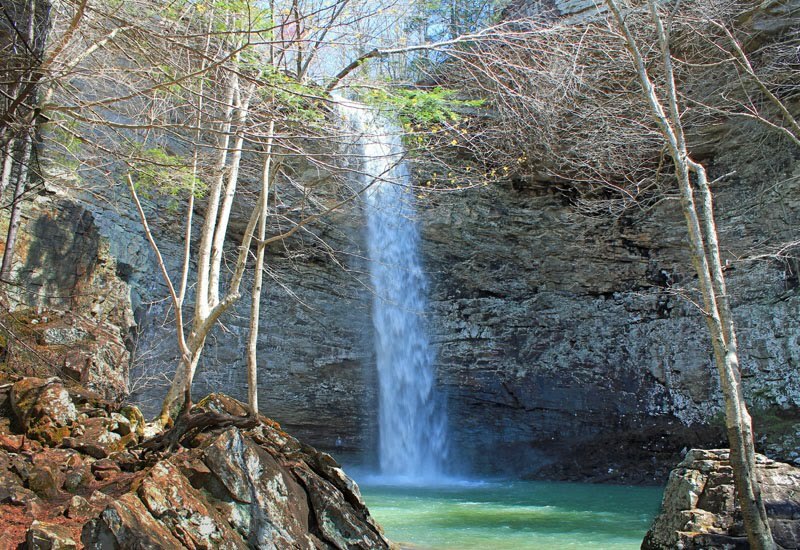 Talk about an Instagram worthy destination. I would LOVE to visit there and will if I ever make it down to Miami. I agree lots of photo opportunity and very entertaining too. I love all the colorful art work! I haven't been to Miami in a few years and would love to visit this walkable outdoor museum. wow this is really quite an eye-pleaser isn't it? I would love to walk around viewing all this fabulous art! Wow! Such beautiful art! I love the shot of your jeep in front of the pink orange wall! Thank you :) my husband will be very please, Jeep is his thing! Oh wow, these are some impressive walls. I just love all the colors. I would love to take a bunch of photos here. Same here I took a lot pictures while we're here. I can't resist, its very entertaining that's for sure. I've never been to Miami. This looks like an interesting place to visit, it looks so colorful. Wow this looks like an amazing place to go and visit, those walls are just gorgeous so colourful and different. I'm an art lover and as a matter of fact I'm heading to a Georgia O'Keeffe exhibit this weekend. You captured some awesome shots. Gorgeous. Simply gorgeous. 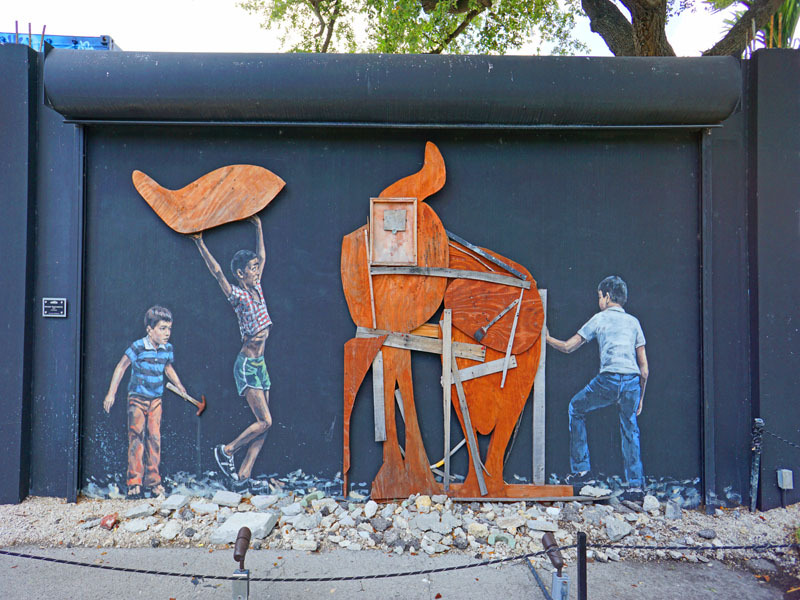 I bet you will love this place , I am a fan of street/public art. This place is amazing! This looks like an amazing experience, I love your jeep! 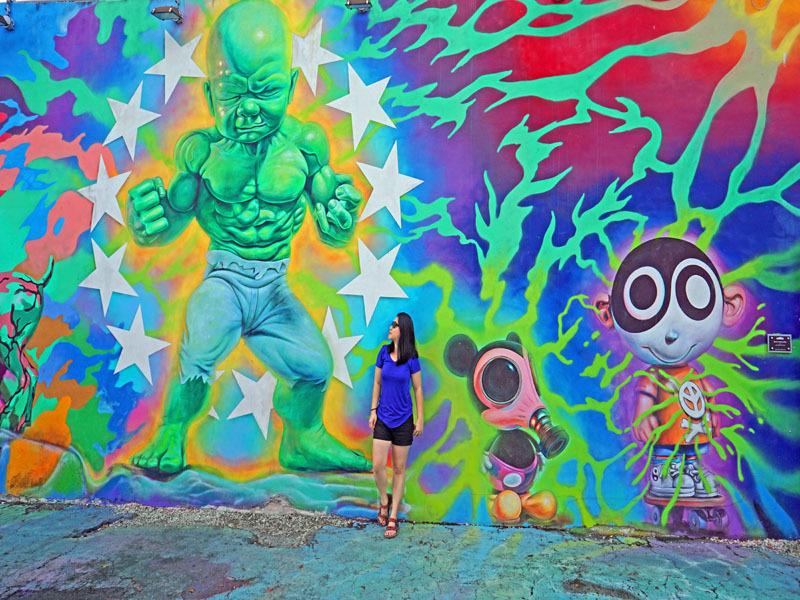 The Wynwood Art Walls in Miami looks like a must see when visiting Miami. 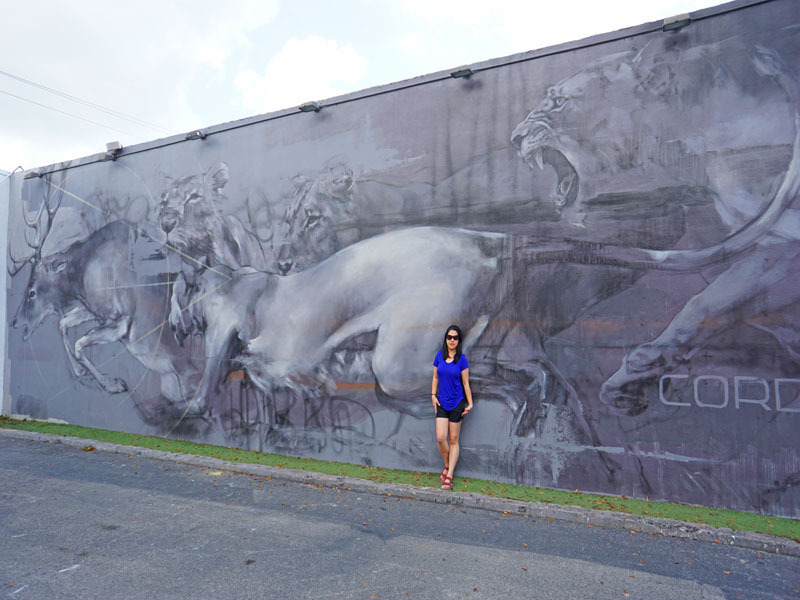 I'm a lifelong Miami resident and would recommend visitors seeing Wynwood Walls too. Some great food trucks show up and good restaurants too. I'm glad to know that Miami is a nice City. We had a blast on our recent trip there. So many things you can do, no dull moment for sure. 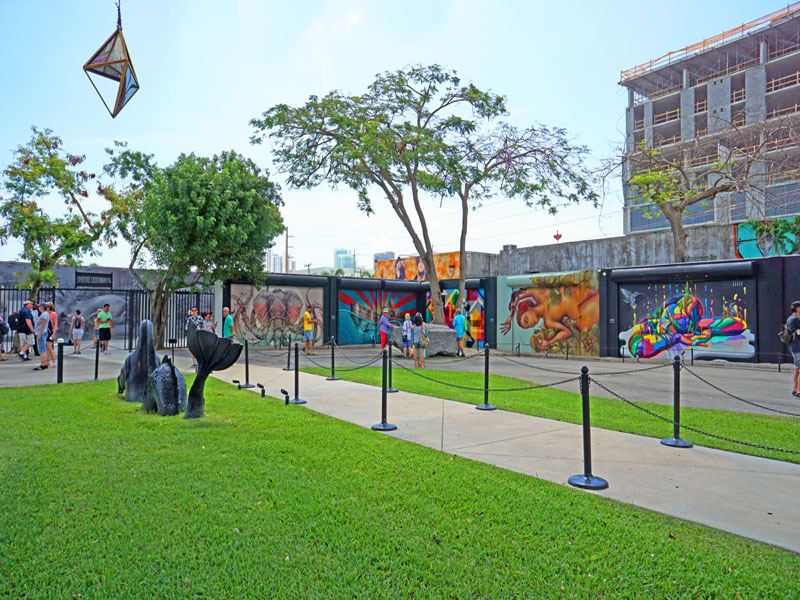 Wow, this outdoor art gallery looks fantastic. I would love to visit and take in these pieces in person. This is really amazing! It would be nice to see it in person, especially if you love art. I think it's worth going to. Wow look at all those colors. 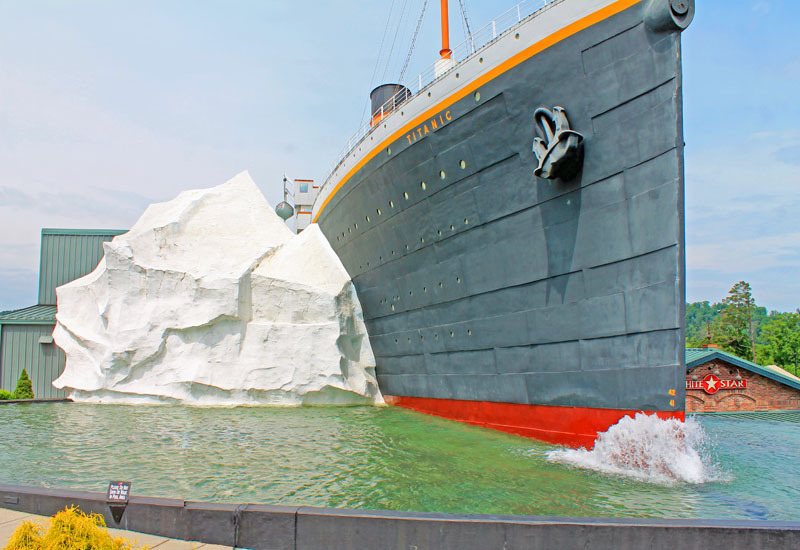 I have got to make it there to see this in person! Now this looks like an art display I would love to check out! These walls are so bright and colorful! Wow! I've never heard of Wynwood Art Walls! I love all the artwork! And your jeep looks amazing in front of that one mural! Street art is always fascinating anywhere in the world. But Wynwood seems to be on a different level altogether. 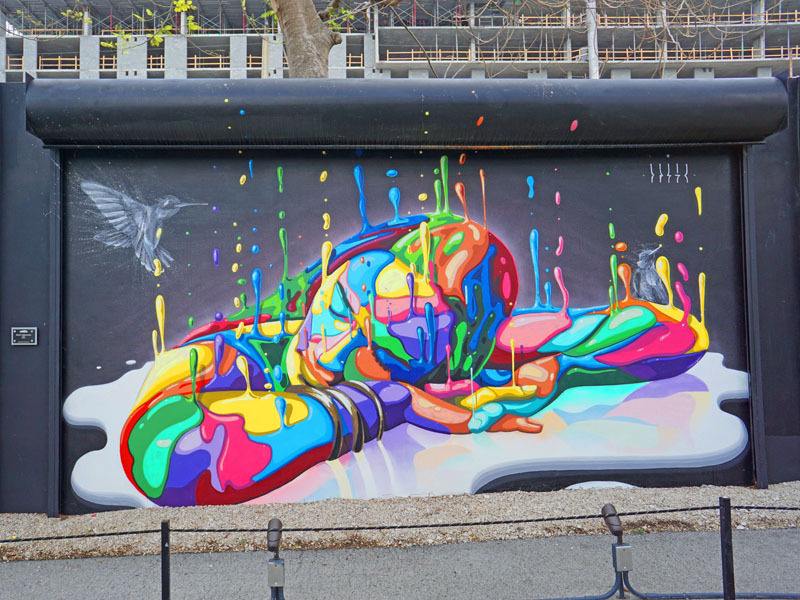 You have a dedicated and vast expanse of space for street art. Looks so beautiful. I love street art it makes me smile and its very entertaining to me. Me too I love street art every one should visit this place while in Miami. At least we all know that Miami is not only for beach lover it is also famous for arts and interesting museum.